It happens to everyone, yet both parents and children still find it hard to discuss puberty. Research shows half of parents (50%) and more than half of their children (57%) admit they find 'TheTeenTalk' difficult, yet 80% of young people and 94% of parents think it's fundamentally important to talk to each other about puberty. 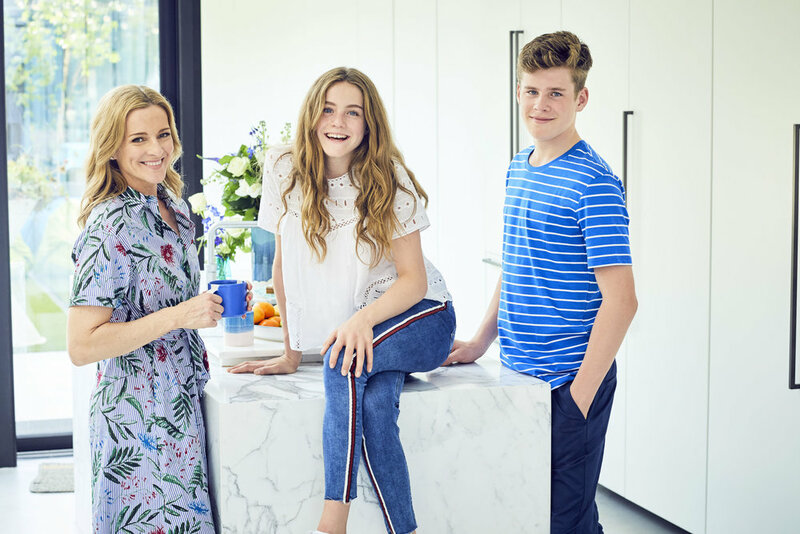 The difficulties are something sports presenter and mum-of-two Gabby Logan completely understands, although only from her own experience as a young teen, and not that of her 13-year-old twins. "Talking about puberty with my children has been quite open and easy, compared to what I experienced when I was younger," she admits. Because Logan feels her own children, Lois and Reuben, are very honest about puberty, and because she wasn't so candid herself as a teenager - just like many other parents and teens - she's joined forces with Boots UK and P&G to launch the #TheTeenTalk a campaign to get the nation talking openly and honestly about all things puberty. Logan, 45, says: "I know exactly what parents are going through. But talking about puberty doesn't have to be difficult. Even though there's no 'one size fits all' approach, it's important for children and their parents to get talking - and stay talking. 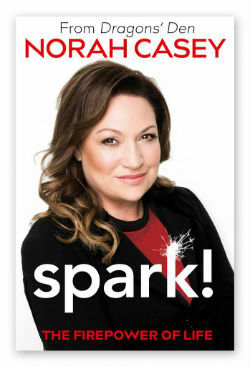 "It doesn't always come naturally or easily to everybody, and some kids are more shy and introverted and don't want to talk about it, while some parents didn't have a great experience themselves, so they don't know how to start the conversation." Are your children embarrassed when you talk to them about puberty? "They don't seem embarrassed - some of the things they ask, I would have been a lot more embarrassed about. They seem more open about it, " she says. "Maybe their friends are having more conversations with them too. So I can't be embarrassed if they ask me, because it would defeat the object. It's been, for the most part, fairly straightforward compared to my experiences as a kid." Were you anxious about puberty as a teenager? wasted too much time worrying." How have you approached #TheTeenTalk with your children? "It's not been one specific 'sit down and chat', like this is the only time we're ever going to talk about it," she explains. "It's just evolved over the last couple of years really, as they're changing and asking questions and they see people around them changing and want to know what's happening. We've had, and will continue to have, lots of conversations. "Sometimes a conversation comes up when they're both in the car – I wouldn't embarrass either of them and try to talk to them about something really personal if the other was there - I don't want to compromise either of them. But sometimes they both start a conversation, or they start talking to each other about something, and then we all talk. "Or it could be a conversation 'round the breakfast table - it's as and when. And because they're twins and they've got each other, while they're not going through exactly the same changes, they're experiencing similar changes and they can talk to each other, which is great." Do the twins talk to their dad (retired rugby player Kenny Logan) about puberty? "They do talk to Kenny - more and more Reuben goes to him about certain boy things, he talks to me lots about things that I would never have imagined my 13-year-old son would talk about - he's very relaxed. "Compared to some of his mates, Reuben seems quite open, but maybe that's because he's got a twin sister and it helps him to have those conversations quite candidly - he's pretty cool about it." Why do you think it's important for children to talk to their parents about puberty? "I'd rather they talked to me about anything than get misinformed," Logan stresses. "They do get a lot of information from their friends, but that was forever thus, wasn't it? Kids talk to each other, but they don't always get the right information, so it's quite good we're there to guide them as to what might be a bit more normal, and which stories are slightly embellished and not quite true." Do you think your children keep secrets from you? "I hope they do have secrets - it might be someone they have a crush on, and they don't have to tell me about every person they have a crush on, although they do talk about that kind of stuff. I don't want them to think they can't have anything to themselves, but I don't want them to be holding anything inside that's making them anxious." And finally, what do Lois and Reuben think about puberty so far? "Growing up and going through puberty can be a strange but exciting time," says Lois. "There are a lot of firsts; your first spot, first period, first time you shave your legs." And Reuben adds: "We've been really lucky and have felt at ease when talking about puberty with our parents, but I know that's not the case for everyone."